Museum-lovers will appreciate Western Australian Maritime Museum and Scitech. Visit Fremantle Prison and The Fremantle Round House for their historical value. Change things up with these side-trips from Perth: Mandurah (Silver Sands Beach, Len Howard Conservation Park, & more), Fremantle (Glen Cowans' Studio at the Roundhouse, The Shipwreck Galleries, & more) and Secret Harbour (Secret Harbour Beach & Secret Harbour Golf Links). On the 4th (Mon), spend an adventurous day with a kayaking and canoeing tour. Make the 11th (Mon) an awe-inspiring day at Lane Pool Reserve. There's lots more to do: stroll through Scarborough Beach, kick back and relax at Binningup Beach, stroll around Kings Park & Botanic Garden, and contemplate the long history of Harvey Internment Camp Memorial Shrine. For other places to visit, ratings, reviews, and tourist information, you can read our Perth trip planner. Sydney to Perth is an approximately 7.5-hour flight. You can also drive; or do a combination of bus and train. You'll gain 2 hours traveling from Sydney to Perth due to the time zone difference. 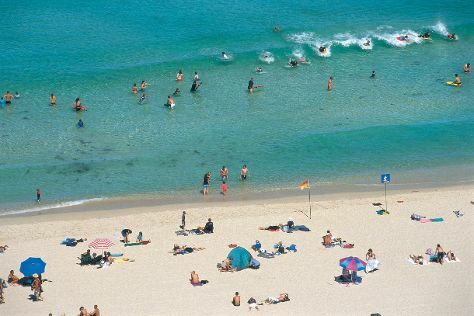 Traveling from Sydney in March, expect nights in Perth to be a bit cooler, around 19°C, while days are a bit warmer, around 34°C. Cap off your sightseeing on the 1st (Mon) early enough to travel to Melbourne. 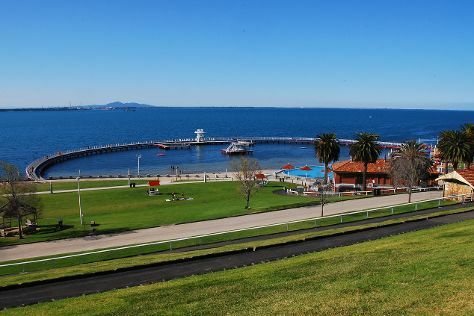 Take a break from the city and head to Eastern Beach Reserve and Lake Wendouree. You'll explore and learn at Shrine of Remembrance and Sovereign Hill. Explore the numerous day-trip ideas around Melbourne: Kevin Hoffman Walk (in Lara), Brighton Beach (in Brighton) and Torquay (Bells Beach & Torquay Front Beach). Spend the 9th (Tue) exploring nature at Point Nepean National Park. There's still lots to do: examine the collection at Melbourne Museum, get engrossed in the history at Phillip Island Grand Prix Circuit, tour the pleasant surroundings at Somers Beach, and admire the natural beauty at Melbourne Zoo. For ratings, photos, other places to visit, and more tourist information, read our Melbourne tour planning site . Traveling by flight from Perth to Melbourne takes 6.5 hours. Alternatively, you can take a train; or drive. Traveling from Perth to Melbourne, you'll lose 2 hours due to the time zone difference. Expect a bit cooler temperatures when traveling from Perth in April; daily highs in Melbourne reach 23°C and lows reach 11°C. Cap off your sightseeing on the 29th (Mon) early enough to travel back home.